This week, I was privileged to be the first featured blog on a delightful website called The Inspired Dish. One of my favorite recipes, Lean and Mean Pulled Pork Barbecue with a delicious homemade barbecue sauce is featured. There is also a chance to win a great cookbook, Joy the Baker, so check it out if you have a minute. You can also visit Cathy’s The Inspired Dish Facebook page by clicking HERE. From Valerie’s Kitchen whipped up this mouth-watering Blueberry Almond French Toast Bake for Mother’s Day, and my mind returned to it as I cooked with blueberries over the past two weeks. I like the idea of Blueberry Coconut Almond Baked Oatmeal on the weekdays, and this bite of heaven on the weekends! How about Melissa from ChinDeep‘s recipe for Grilled Salmon BLTs on Ciabatta Rolls with Parmesan Mayo…If you’re a salmon fan, you are going to LOVE these. There is a simple rub to flavor the salmon and the addition of vine-ripened tomatoes and avocado completes this tasty package. 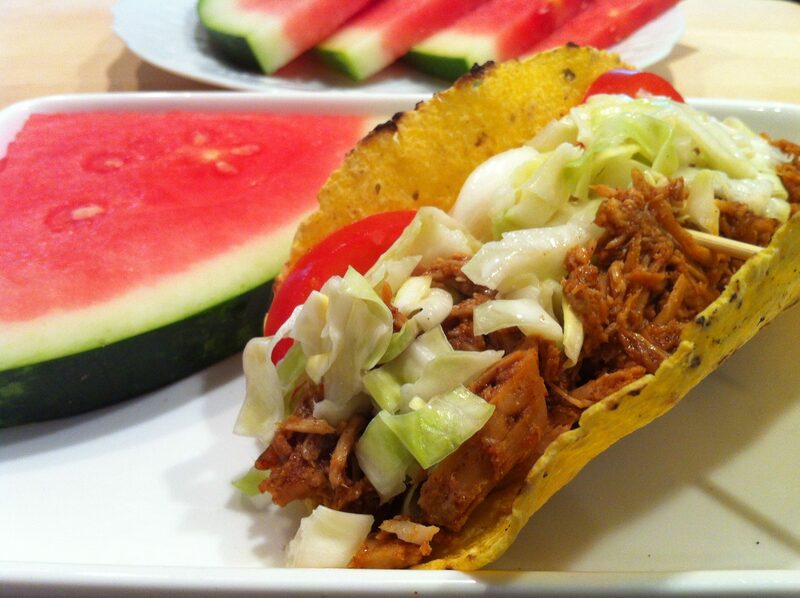 I can just imagine sitting on the patio on a warm summer evening and biting into one of these! And then there is this clever concoction from Ann at Sumptuous Spoonfuls—Baked Eggs in Asparagus Sweet Onion Nests. This is the sort of meal I would eat for breakfast, lunch OR dinner. I love the concept of adding eggs on top of cooked veggies or baking them inside of various vegetables. It makes for such an easy, satisfying, quick meal. This is a slightly dressed-up preparation that is still simple to pull off. 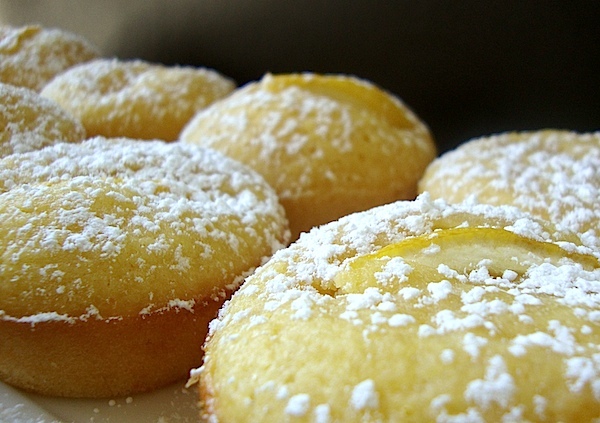 Can you almost taste these Mini Lemon Yogurt Cakes from Mia’s Domain? The picture just begs to be eaten! The recipe is comprised of basic ingredients like eggs, yogurt, sugar and lemon and baked in muffin cups into a pure bite of heaven! 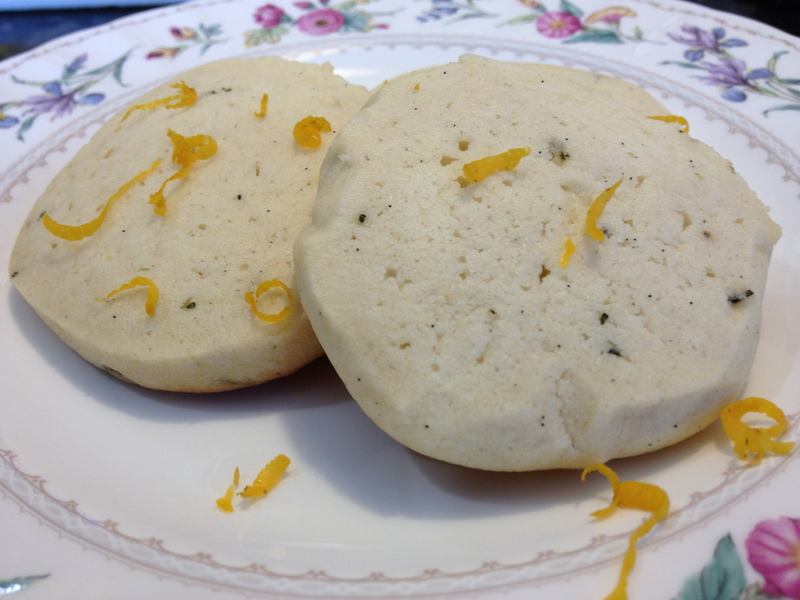 Last but certainly not least, my good friend Sara at My Imperfect Kitchen is the queen of cookies, and she devised this amazing little Lemon Rosemary Tea Cookie. The right balance of rosemary and lemon will take a sweet dessert to new heights. What’s more, these are icebox cookies so you can prepare the dough in advance and bake as needed…or as craved! Let me know if you have seen any recipes that beg to be cooked or if you have made anything tasty in the kitchen recently. We can always add to this list! In the meantime, have a delightful weekend and happy cooking! Thanks for featuring my recipe Ann! What a gorgeous selection of goodies you have here. I’m going to head over to The Inspired Dish now! 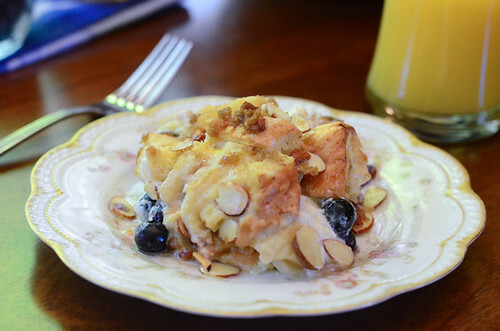 Your blueberry French toast recipe is a total keeper, Valerie! Since we are in the midst of blueberry season, it was just begging to be revisited! I am thrilled you made the pulled pork and BBQ sauce and enjoyed it, Cathy! Thanks for the comment and you are most welcome!